This garden dish with its charming white flowers will dish up the kudos for you when you send it to that special someone. Perfect for home or office. 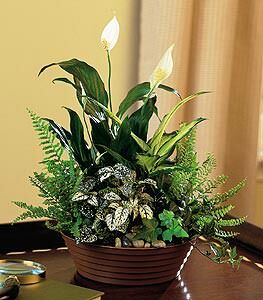 Dieffenbachia, fern, ivy and spathiphyllum arrive in a simple round dish.